Pole barns are popular, especially in rural areas, for a number of reasons. Not only are they quick and cheap to install, but putting up a pole barn is a part of the history and tradition of the area. Many people choose to put up a pole barn because it is what their grandfather did and what their father did in order to keep equipment and livestock out of the elements. However, due to advances in technology and innovation, pole barns are now starting to see a major decline. Here are a few reasons why choosing a steel framed barn from Global Steel Buildings over a wood framed pole barn can help you save money and provide adequate storage for your agricultural or farming needs for generations to come. When it comes to adding buildings to your farm or your rural business, the cost is a HUGE factor. This is why wooden pole barns are so popular. The cost to initially build a pole barn is low due to material and the fact that they can be built without a concrete foundation or professional contractor. However, the cost to maintain a pole barn is significantly higher than a steel barn. Pole barns need routine repairs made in order to the keep the structure strong. It will also need a new paint job every few years to keep it looking nice. And when it comes to insuring your wooden pole barn, you can expect to pay more. 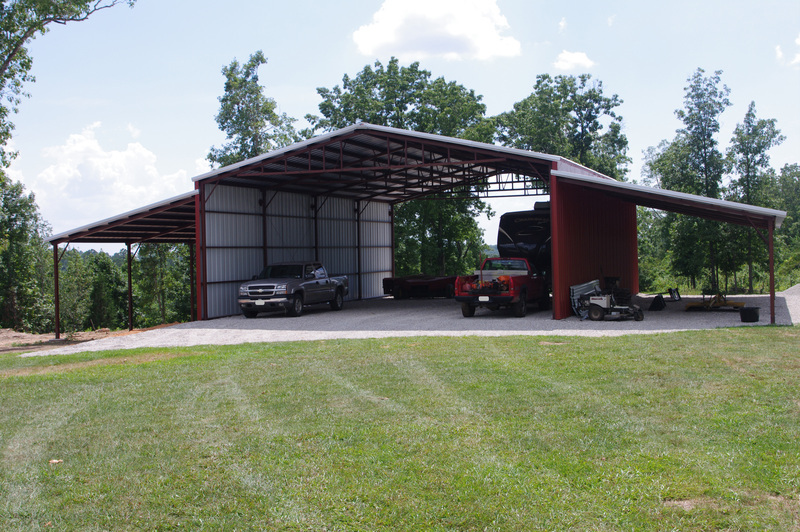 With a steel barn from Global Steel Buildings, you can rest easy knowing that after your initial investment you will have little to no maintenance. 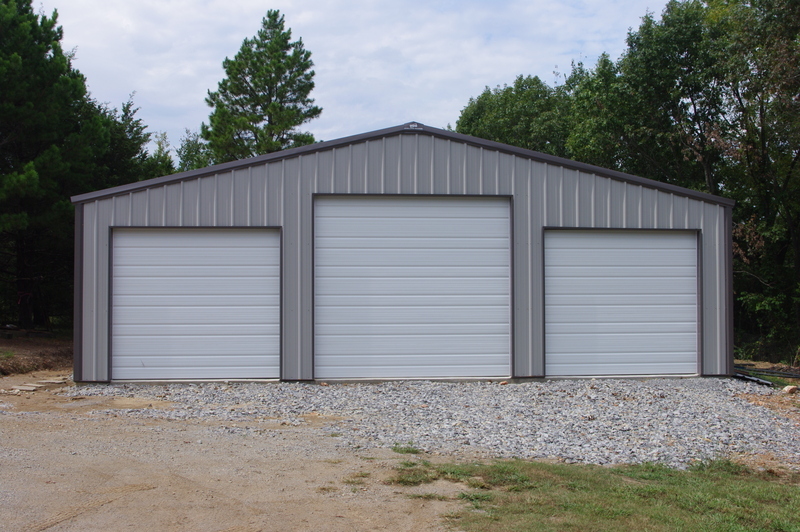 Steel buildings are mostly weather resistant, so you don’t need to worry about mold. You can also cut your pest control costs because you won’t need an annual termite contract to keep termites from taking over. And due to steel’s fire resistant nature, most steel barns can be insured up to 40% cheaper than a traditional wooden pole barn. Pole barns are easy to construct. Poles are simply buried deep in the ground and material is added to the poles to build the exterior and roof. There are even pre-fab pole barn kits for the DIYers. The main reason people choose a pole barn is the fact that it can be built on different terrain and doesn’t require a concrete foundation. However, anyone who has ever been around homes or building construction knows that the ground can move and shift. If you have a pole barn, chances are high that your structure can also shift as the ground moves. This causes many problems to the overall structure of the barn and can even cause harm to anything inside. Steel buildings are also easy to construct. In fact, with a Global Steel Building Kit, you CAN build one yourself. Our exclusive Hinge Boot application allows you to construct each truss flat on the ground, attach the legs to the Hinge Boot, and walk it upright when you are ready. Our pre-fab steel building kits also include everything you need to get started. All materials are fully designed, engineered, cut, welded, measured, bundled and banded when they arrive to the job site. With a few common tools, it’s easy to do it yourself, save time, and save money upfront and in the long run. When it comes to deciding which type of material to choose in building your next barn, the answer is clear. 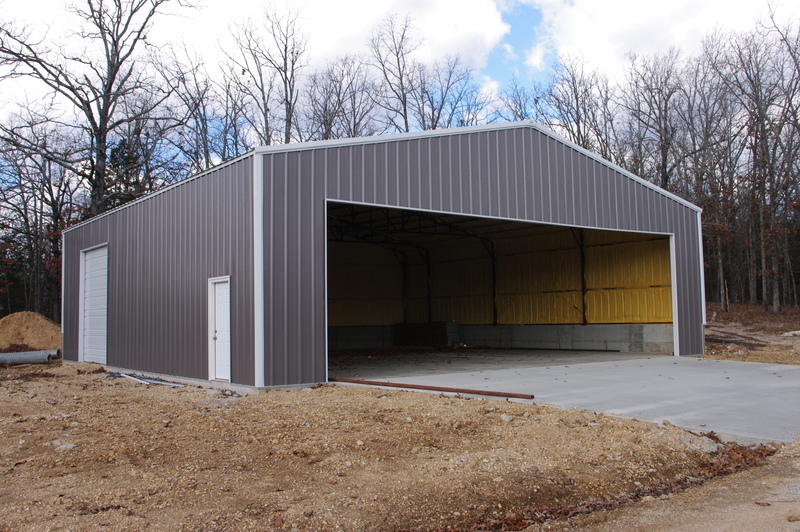 Steel buildings and steel barns provide many benefits over the traditional pole barn. For starters, most pole barns are constructed with wood. Over time, wood decays, it is a magnet for termites and other pests, and it can burn. A Global Steel Building won’t rot over time, it’s stronger, and it doesn’t burn. The steel material also gives you a strong building to last from generation to generation. Start a new tradition by choosing to go with a Global Steel Building for your next barn. We offer a wide variety of sizes, colors, superior warranties, and financing options. You can choose to build it yourself. However, if you are not the barn building kind, you can hire a contractor to help with the build. In fact, most contractors love our building kits because of how simple and uncomplicated they are to put together. Give Global Steel Buildings a call today at (417)256-3344 and let us show you how easy it is to choose a steel building for your next building project.